← RIJK’S IS PROUD TO ANNOUNCE THE RELEASE OF OUR FIRST SHIRAZ RESERVE 2009. 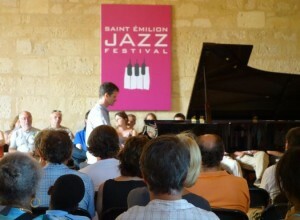 The second Saint-Emilion Jazz Festival was held from 18 to 21 July. As soon as the first notes of music were heard, the streets and alleys of the old town filled up with people anxious to hail some of the greatest names of jazz, including Minino Garay & The Drums of the South, Chick Corea, Monty Alexander and Nile Rodgers’ legendary band Chic. The Saint-Emilion Wine Council and the Saint-Emilion Winehouse contributed significantly to this festival, celebrating the natural harmony between music and wine. Several stages with quite different styles were set up in the town. Four superb piano solo concerts were performed every evening in the Dominicains Hall. At 9:00 pm every night a number of international artists thrilled large audiences in the Palais Cardinal moat. On Thursday night, a captivated crowd of onlookers gyrated to the intoxicating beat of Minino Garay with his Drums of the South and the Afro-Cuban rhythms of Enesto Tito Puentes. Friday was primarily a piano evening. The Palais Cardinal moat resonated with the virtuoso piano performances of Yarron Herman then the famous Chick Corea. On Saturday, Monty Alexander unveiled his “Full Monty”, a brand of jazz largely inspired by his home Caribbean rhythms. 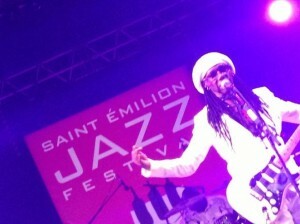 This jazz festival was wide open to all musical genres: world music, Afro-Cuban and the disco funk of Nile Rodgers. Electro Deluxe, a band at the confines of jazz, electro and funk performed before Nile Rodgers’ legendary band Chic, which yet again unleashed its hypnotic power as the whole audience rocked to all the hit songs released by the group since the 1970’s. As visitors listened to the music of the free concerts programmed throughout the day, they were able to have a snack and taste a range of wines outside at the producers’ village stands. The central feature of the whole Village was the Saint-Emilion Winehouse’s “Ephemeral Wine Bar” which remained open for the duration of the festival. 2 record stands, 1 book seller and the Festival Boutique enhanced the variety of the Village stalls. 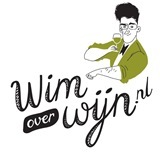 Dit bericht is geplaatst in Internationaal met de tags Chic, Chick Corea, Edouard Ferlet, Electro Deluxe, Enesto Tito Puentes, Minino Garay, Monty Alexander, Nile Rodgers, Saint-Emilion Jazz Festival, Yarron Herman. Bookmark de permalink.